Perfect for activity centres, team building companies and scout groups these kits can be used again and again. 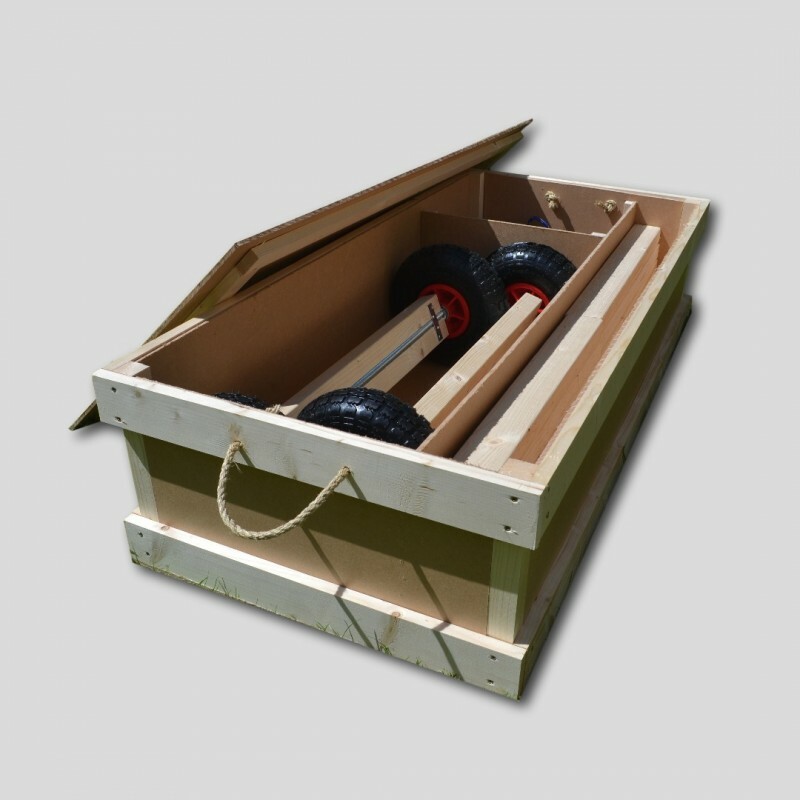 They are supplied in a sturdy wooden box for easy storage and are ready to use out of the box. The karts are simply lashed together with rope making a challenging yet fun activity to teach team work and problem solving skills. Instructions are provided, however the parts are flexible enough to allow almost infinite designs. If you would like any more information or want to discuss how our karts can fit into your activity program then please get in touch and we'll be happy to help.